Like wine, I think it's important go out of your way to experience new and different (yes, get out of your comfort zone) cheeses. After all, who knows what you've been missing? Important! Try and locate the best cheesemongers in your city or neighborhood. Find a retailer who loves cheese, where the staff is knowledgeable and they're always sourcing new products. And most importantly, somewhere where they indulge you with samples! Join me in indulging in these tasty, cheesy treats - oh, and don't forget the cheese fondue! Unpasteurized cow milk cheese from Jura France. 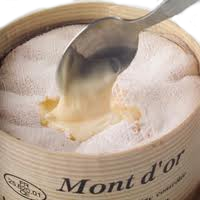 I find it very similar perhaps a bit stronger (ergo tastier) than Comte de Montagne. Its a firm cheese with a lovely honey hue and thin inedible rind. It has a nutty, sweet earthy aroma and a smooth nutty, toffee/caramel flavour with a salty backbone. It comes in large drums so you can have yours cut to size. Wine Pairing: Great with full bodied wines like Rhone Syrahs. A triple cream cow milk brie from Bourgogne France. This creamy white uber-soft cheese spreads like butter and is decadently rich. 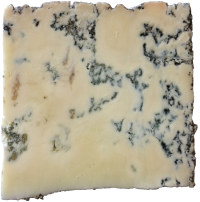 It has a mild aroma and flavour similar to the inoculated blue cheese- a distinct sharp medicinal/mouldy flavour but in a mild and appealing way. It also has hints of earthy and herbal nuances but mostly its just incredibly rich! As you can see by the photo at right it has a mottled thin rind where the flavour is sharpest and it gets creamier toward the centre. It also doesn't travel well so keep it safe! Wine Pairing: A red Burgundy would be the obvious choice but I love it with Champagne and sparkling wine that cuts through the richness or a Sauterns or Icewine. 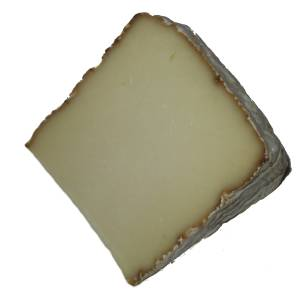 This sheep milk tomme from Corsica has a rough, gray mottled rind and ivory interior. The aromas are of wild herbs, earth and has lovely sweet milky nuances. The texture smooth and creamy with amazing sweet, nutty flavour and hints of rosemary and thyme. Try this next time in place of your regular Tomme de Savoie or Tomme Piedmontese. Wine Pairing: perhaps a wine from Neighboring Italian Sardinia (Carignan or Vermentino) or creamy, nutty white like Chardonnay or rustic French or Italian red. This is a hard cow milk cheese from (generally from Northern Italy) that has been brushed or immersed in red wine. Generally it's aged 6-10 months. One would expect it to have a wine-ish hue seeping in from the rind but it has a lovely creamy flesh with a distinctly purple rind with just the faintest hint of wine-colour soaking in underneath. It has a briny aroma similar to parmesan with fruity, nutty and smoky nuances with a very pleasing and distinct wine-y flavour. The texture is very firm and crumbly suited to an aged cheese. Ubriaco means "tipsy" or "drunk" in Italian and another interesting version called Ubriaco al Prosecco is brushed with Prosecco must (skins and leftovers from winemaking) giving it a delicate floral fruitiness. Sounds like a perfect pairing to me. Wine Pairing: A lush Italian red wine made from Cabernet, Merlot, Raboso or Nebbiolo or a Valpolicella or Amarone would be nice. 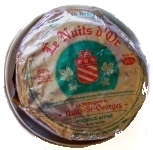 A cow milk cheese from Nuits-St.-Georges, Burgundy this is a cheese that will rock your world without emptying your pockets. If there are cheese fiends and cork dorks knocking at your door, this is the cheese to serve. And, since it's from Burgundy it goes extremely well with-of course, Pinot Noir. It looks far more expensive than it is, all dressed in gold foil then unwrapped to a light amber washed cross-hatched rind and creamy interior. It is soft and sufficiently smelly enough to replace an Epoisses. Blasphemy you say, I say its a smart, affordable indulgence! The washed amber rind is slightly tacky, left on the counter to warm for sufficient time (one hour at least please) it begins to sag slightly and bulge out out at the sides. The texture is creamy, smooth and slightly rubbery with slightly fruity, mushroom and bolder "ripe" barnyard aromas. On the palate it's creamy sweet on the entry with faint herbal/grassy nuances and a nutty finish...dreams are made of this! Wine Pairing: Perfect with red Burgundy, young-ish red Bordeaux or reds without overt jammy fruit and flavour that will overpower this cheese. What is it about Valentine's that makes small, individually wrapped items so appealing? Hershey's Kisses, small velvet boxes, half bottles of pink Champagne and of course - creamy cheese. notes cows milk brie has but maintains elements of earth and grassiness. A perfect darling addition for your dinner duo. WineDiva will certainly bow down to her. This cow milk cheese from the Bourgogne village of Epoisses has a soft amber-hued washed rind (bathed in marc or brine) with an intense and pungent barnyard aroma to it. (I placed one in the overhead bin one on a short plane trip once, quadruple wrapped and and in a plastic container. By the end of the trip it was smelling up the entire cabin). Robust flavour, earthy, sweetly creamy and decadently rich. The texture when cool is pate-like but spoon soft when sitting at room temperature. Long live the Queen (just not in my fridge)! Wine: Fresh white wine with some body and a hint of sweetness like Viognier, Alsatian Riesling/ Pinot Gris or Pinot Noir or for dessert a Sauternes or sweet Loire Chenin Blanc like Vouvray. 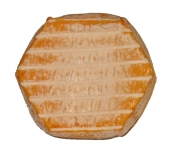 Amber hued, washed rind hexagonal shaped cheese with a gamy/wild aroma and hints of sweet nuttiness. 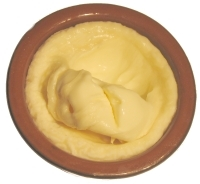 Soft, creamy and supple this semi-soft cheese has a creamy, milky and slightly fruity flavour. It would be nice as a dessert cheese served with fruit. Wine: Light-med fruity reds, medium bodied fruity whites. 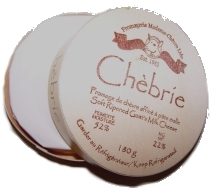 A washed rind soft ripened cow milk cheese from Quebec. This perfect little drum comes housed in a clear top container which makes it nice to travel with. It is softer and creamier than the traditional Oka you probably purchase already cut in larger wedges at your local store. It has that slightly sticky golden-amber hued rind (washed) and creamy-rubbery texture with intense sweet and nutty aromas and a fruitiness that reminds me of Gewurztraminer. or lighter bodied fruity red. From Saint-Genix-sur-Guiers in southeast France is a buttery, runny, soft ripened cow milk cheese that is quite spectacular in two ways. First, it comes in it's own lovely little ceramic pot which prevents it from running all over your fine wood-grained table and second it's a heavenly buttery bliss that spreads like thick cream. In the crock it has a vague cross-hatch pattern and is a pale straw colour with a paler interior. The flavour is mild but rich with a sweet herbal, earthy flavour. Make sure you serve it with a delicate little spoon-you'll need it! And talk about impressing your guests! Wine Pairing: Rhone style or South of France reds wines with Grenache, Syrah, Mourvedre...Burgundy reds; fuller-bodied Alsatian Pinot Gris. I love this this handy demi sized brick. 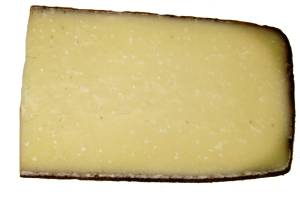 L'Evêque has a smooth formed surface with a fine crosshatched creamy hued (often orange) rind and delicate yellow interior. It has a barnyard-y aromatic essence to it a, funky and earthy. The texture is supple and creamy with a slightly rubbery brie-like mouth-feel with earthy mushroomy, herbal flavours and a strong milky finish. The Pont l'Evêque is not a completely mild cheese even if it looks completely innocent peering out at you from its adorable wooden case! 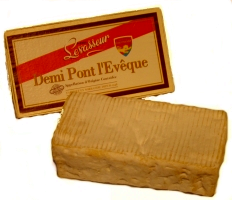 Similar to an Epoisses, Livarot or Tallegio. Wine: Burgundy (Pinot Noir), Bordeaux blend, red Rhone variations. It's a combination of goat and cow milk cheese from Quebec. But don't let it fool you. It looks like Brie but is quite different. 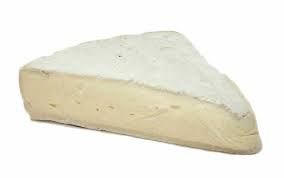 It has a soft bloomy white rind and stunning soft white interior. Aromas are of chalky minerals , cedar, grass and green herbs. It has a dry texture, similarly chalky but tastes creamy and earthy with mushroom-y nuances and a 'goaty' flavour. Perfect with a drop of sweet fruit compote or truffled/mushroom spread. Wine Pairing: An earthy but light red wine, a rose or a crisp and fruity white wine. She ain't pretty, but you'll love her! This unique cow milk cheese from France is covered in marc (the seeds, skins and stems remaining after making wine). with grassy/herbal flavours and a hint of sweetness. The texture is quite rich and soft, slightly crumbly. A great cheese for wine. Wines: French would be best, Pinot Noir or rich/robust white or try a dry Rosé. Semi-firm cow milk cheese from England has a milky flavour with lemon-grassy/herbal flavours and a free range earthiness. The texture is somewhat dry, chalky and slightly crumbly. If you are a cheddar fan you'll enjoy this cheese. Wine Pairing: Crisp, minerally white wines, Alsatian whites or reds with some acidity. This cow milk cheese from Belgium was one of the three cheeses I picked up at a cheese shop in Victoria, British Columbia. 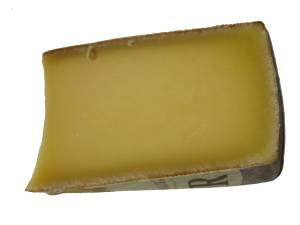 The Fleuron de Bruges has a soft, washed rind with a slightly amber hue (from the bathing) and a creamy yellowish interior. The texture is amazingly velvet, slightly rubbery and is sweet, creamy and nutty. It reminds me of the delightful French Fleur d'Aunis which is bathed in cognac. Wine Pairing: Fruity and fresh reds and whites like Pinot Noir or fruity Chardonnay or a Kriek beer from Belgium. Cow milk cheese from Charentes Poitou France. WineDiva loves this cheese with its rich and creamy texture. Its sweetly nutty and has slight mushroom-y and milky aromas. It has a soft texture that's just a hint rubbery with a soft, orange (edible) and sticky rind that has been brushed with the regions Pineau des Charentes, a fortified aperitif-style wine made with Cognac. Wine Pairing:I paired it with sparkling wine and Pinot Noir, both were wonderful! But any light, fruity red or white would be nice. Goat milk cheese from the Gulf Island in BC. 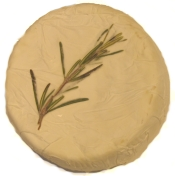 A soft, white mould surface ripened goat cheese-A local Salt Spring Island artisan goat cheese recognizable by its decorative rosemary sprig. Fresh herbaceous and saline aromas with a typical ‘goaty’ fragrance. It has a soft white shell exterior and soft, velvety texture with flavours of mushrooms and sweet cream, and a fresh piquant finish. Wine Pairing: Crisp wines Sauvignon Blanc, Riesling, unoaked Chardonnay, Rose or light red. Cow milk cheese from Switzerland. 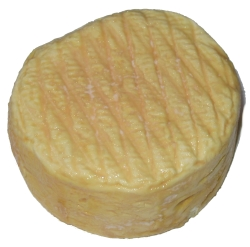 It has a thin hard mottled rind (I wouldn't suggest you eat it) with milky and grassy/herbal aromas. Nutty, intense forest floor mushroom-y elements with a sweet milky finish. Delicious. Wine Pairing: I like this cheese with Pinot Noir but it would also be good with a dry rosé or a Beaujolais. This aged goat cheese from Spain has a delightful pumpkin orange rind from being dusted in paprika. It has a Parmesan-like texture, dry and crumbly but the paprika adds a hint of smoky spice to the flavour and aroma of the cheese. It is wonderfully salty and smoky with herbal, grassy flavours, a sharp finish and a slow paprika burn. Delicious. The Stilton isn't too strong...the aromas are sweet cranberry and it looks lovely. 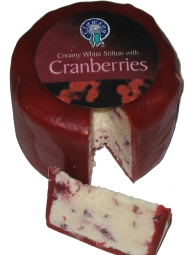 Slightly creamy, faintly chalky with the sweet/sour pop of cranberries as you let it melt in your mouth. There is no bitterness or lingering strong flavours. Its just plain adorable and easy! Pairing: Serve it at the end of your meal or just before a sweeter dessert with some dried fruit and nuts, some fruit and nut crackers and a dessert wine. It comes in several flavours...including blueberry! Caveat: As stated on the bottom label "Do not eat the wax layer", "Do not throw wax layer onto open fire"
Sheep milk cheese from Romagna Italy. This hard Pecorino style cheese is aged in underground caves for 4-6 mos. giving an deep earthy aroma with flavours of roasted nuts and herbs. Wines: Italian reds but Zinfandel, Primitivo, ripasso-style reds like Amarone. You can get smoked gouda (cows milk) in the grocery store in processed rounds (a slightly rubbery texture) that would do in a pinch if you were melting it. Or you can get the good stuff from your cheese monger. I'm a huge smoked cheese lover and smoked gouda has such a smooth creamy texture (great for melting on a grilled cheese with caramelized onions) and is the perfect accompaniment to wines with any smoked, toasted or oaky flavour to them (ie: Chardonnay, aged Champagne or a numerous red wines). Wine: The perfect pairing oaked Chardonnay - the smokier the cheese the bolder and oakier the wine! Goat's cheese. An adorable 100g short barrel of medium consistency and lovely strong aged goat aroma/flavour. Very earthy with herbs and pasture grassiness. The dense weight and flavour translate into smooth chalkiness. Let it sit on your tongue and melt to really appreciate it's wild goat-y flavour. 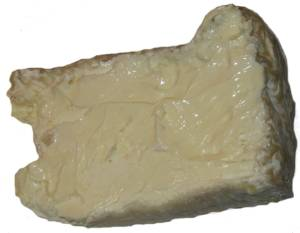 As opposed to the firm chalkiness of the previous posted cheese, the Poitou is fresh and runny. This individually cardboard encased 125g puck has a creamy white shell with herbaceous, mushroom-y and fruity ooey-gooey goodness. Perfect for spreading on a baguette. Carries well for a picnic and all you need is a bottle of wine with a screw cap! Cow milk, medium soft and supple with a bloomy rind (edible when young) but gets mottled and thick as it ages (I suggest you don't eat the aged rind). Earthy and barnyard-ish with sweet fruity and truffle flavours. Mild but inspiring. If you like good quality Camembert and Brie-try this...you'll love it. Comes in a larger disk/drum-have them cut you a piece. Wine Pairing: Barbera d'Asti, Pinot Nero (Pinot Noir), Lambrusco, Beaujolais - smooth fresh reds and fruity whites. Spread a small amount of Urbani Tartufi-Truffled Porcini Crema on a cracker and top with a slice of the Toma. Sniff, bite, savour and swallow! Urbani Tartufi-Truffled Porcini Crema This creamy concoction of porcini, white truffles, bianchetti truffles and spices is heavenly. It's not cheap $20 for a tiny 80g jar but like truffle oil-you don't need much! Products can be purchased at Urban Fare or specialty food stores. My favorite Olive spread comes in a glass jar and is called Aiello Bruschetta - it's a Chunky Olive Spread. What makes this one so special? It's the addition of the walnuts to the usual green olives, lemon, olive oil and capers concoction. Also great with a cheese platter! This sheep's cheese looks a bit like Manchego in disguise but is more expensive. (Covent Garden and Borough Market), to specialty food stores across the UK and around the world. Firm and creamy white, it comes in drums about 7" x 5'' high (like Manchego) and has a strong chalky, earthy and nutty flavour slightly wild and herbaceous with a texture just bordering on crumbly. I was looking for a slightly fruity, not grassy, cheese to go with a 1997 St. Francis Reserve Merlot, from Sonoma. I wanted something I had not had before, then I spotted this option on my cheese monger's board. Hailing from Spain this med-firm sheep's milk cheese is gently smoked, just enough to achieve a wonderful sweet, but still strong savoury flavour. It went extremely well with the smokiness in the Merlot as well. If you like Manchego, you will love this cousin. If Epoisses is the Queen, this may very well be the King of cheeses! I get this cheese one time per year…just before Christmas. 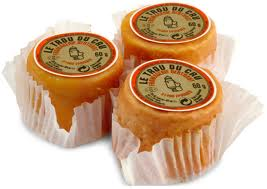 General information-Cows milk, un-pasteurized with a delicate apricot-hued washed rind and supple, runny interior. It comes packaged in a round spruce-wood case. I've purchased the 500 gram drum and the 250 gr drum. You don't want to miss the potent aromatics and unparalleled buttery texture - earthy, fruity and nutty flavours of this rare queen of cheeses. shipments from France and Switzerland every year. So do you research and pre-order next year in the fall. Wine Pairings: You've got the King here - why not a vintage Champagne? Other options a unctuous (old world) Viognier, Cru Beaujolais or Cru white Burgundy. This adorably small orange puck is the perfect size for two, if you are having a cheese only dinner with a couple other selections and a bottle of wine. 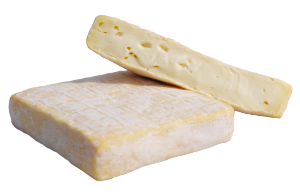 The interior is creamy yellow and demands to bulge out of its washed-rind exterior as it warms at room temperature. 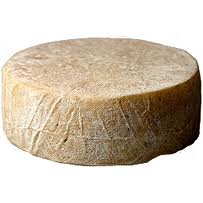 It has a very soft, creamy texture and intense raw cow's milk flavour, slightly wild, barnyard and grassy. The Trou comes from Epoisses, Burgundy (a consummate cheese snob's utopia) and shares the strong aroma and flavour of its famous Epoisses cousin. No wonder it goes so well with red Burgundy or Pinot Noir! Mountain Meadow 'Brie', Chase, B.C. (29% milk fat) A certified organic sheep's milk brie with a low enough fat content as to be considered a January 'diet' cheese. It has a soft open-meadow aroma of grass and herbs. It is richly creamy in the mouth and much milder than expected (for those of you who think you don't like sheep's milk cheese) and as with cheese (or wine) as it heats up on your tongue it blossoms, into delicate earthy flavours. Pairing: I served it with a reduced red wine and cranberry compote I mixed up on the stove with honey and star anise to sweeten, and pecans on the side. *You can make any 'compote or chutney' quickly at home to serve with cheese by dicing fruit (pear/apple/berries/kumquats peaches/nectarines or whatever) into a saucepan on medium-low heat and adding honey, sugar or maple syrup to sweeten. I cook down unused red wine and keep it in the fridge to thin out and give the 'chutney/compote' a compatible wine flavour. Then I add whatever additional flavour elements I like, star anise, cardamom, rose water, orange water, ginger candied or fresh (all found in Asian or Middle Eastern stores). Stir until heated and thick, then puree or leave in chunk style. I love Tomme and…Muscadet. By brushing cheese with wine you have combined two of my major food groups! 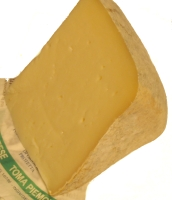 The Tomme de Muscadet is made from cows milk and has a lovely (slightly sticky) edible, orange rind that is the result of brushing the Muscadet wine onto the outside of tomme disks. It imparts not only the gorgeous colour but a grapey/Muscat-y flavour into the cheese. 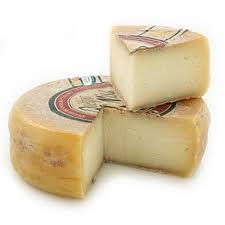 The cheese is earthy, herbaceous and sweetly grapey-fruity with a fresh, nutty finish and creamy mouth-feel. It may become your new favourite! Wine Pairing: Excellent with slightly sweet white wines with good acidity. From the stunning (bread basket) Alentejo region of Portugal this wheel of sheep's milk cheese is wonderfully smelly - earthy, sheepish, barnyard-y and wild tasting with a long nutty and herbaceous grassy finish. Soft washed rind amber/orange rind-edible. Wine Pairing: Crisp but fruity white wines - Portuguese whites would be great. Vinho Verde, Albarino or lighter fruity reds. Upper Bench is located on the Naramata Bench near Penticton in the Okanagan Valley. They also make wonderful wines. A traditional handmade brie with earthy notes - a mushroomy and grassy character with flavours of sweet creamy milk. It's lovely, not rubbery or generic tastiing but has a wonderful buttery texture and the cheese clings to your palate with good length. Wine Pairing: A fresh and juicy rosé or fruity Beaujolais or gamay red. A handmade, semi-soft surface ripened cheese with a slightly stronger aromas and flavour than the brie. It has a nutty character a darker golden hue and a firmer, springier texture. The flavours are also slightly nutty yet buttery with hints of herbs and grass. 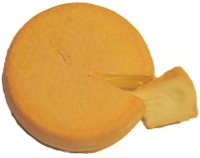 Larger wheels cut into pie-shaped slices for serving, 29% milkfat. Wine Pairing: Buttery Chardonnay, fruity Gewurztraminer or light-medium bodied reds. 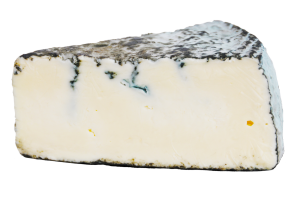 A handmade semi-soft blue surface ripened cheese with a subtle blue cheese aroma from the penicillium. It was medium-strong in flavour salty yet buttery with a smooth texture and mild blue cheese flavour, which is not aggressive. Cut into pie-shaped slices for serving, 26% milkfat. A good cheese to pair with fruit - dried and fresh. Another Upper Bench handmade blue cheese brine salted in 10" and 31/2" rounds. It's a creamy and soft style (with a slight rubbery push) showing classic penicillium flavours (albeit not overt). It is undeniably earthy - think forest floor and mushrooms with hints of sweet grass. It's a mild blue with less veining than King Cole but it has a nice tang on the palate with just a hint of the salt brine lingering on the finish. 26% milkfat. Great spread on crackers with fig paste. Wine Pairing: Late harvest wines; aged Pedro Ximenez Sherry; Tawny Port; off-dry table whites and earthy reds; lighter-bodied Cabernet Franc. A handmade washed rind cheese with a golden skin. It has milky and creamy notes layered with oyster shell and salt water with mineral and grassy tones. 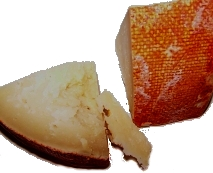 Classic washed rind, it has a creamy character and rubbery push to the flesh. These buttery squares of golden goodness have 29% milkfat and become more potent as they age.